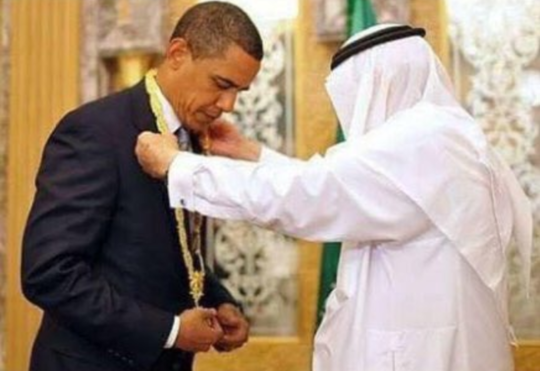 The president’s Saudi change of heart: Is it the arms or the Treasuries? A shrinking-package lawsuit… how the rigging of the gold market will end… what readers say they want and what they really want… and more! 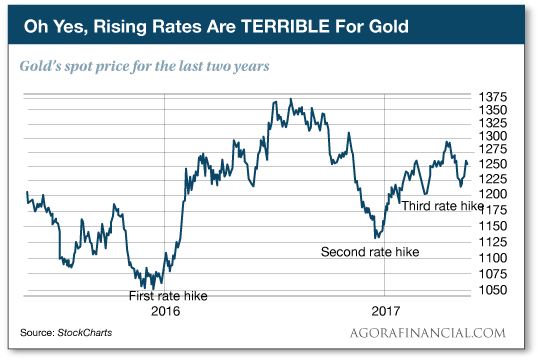 Here we go again with the “rate hikes are bad for gold” thing. We’re now 23 days away from the next meeting of the Federal Reserve’s Open Market Committee. As of this morning, the trade in fed funds futures points to an 83% probability the FOMC will raise the fed funds rate again. Well, yes, in theory tighter monetary policy is bad for gold. Because gold doesn’t throw off a yield, investors ordinarily dump precious metals and dive into Treasuries during a time of rising interest rates. Back in February our income maven Zach Scheidt explained why this theory was breaking down: The Fed wants to keep raising rates… but doing so will have the effect of strengthening the dollar. “If the Fed were to continue to raise rates, it would make U.S. goods and services less competitive. It would cause profits to drop. And this would kill the fragile economic recovery. The Fed does not want this to happen. And so the Fed will not be able to raise interest rates much in the future. Zach’s explanation then still holds true now. And in the three months since he described that phenomenon, his premium subscribers have had the chance to generate $1,910 in instant income from the precious metals markets. That’s right — five payments of $450… $360… $300… $250… and $550 — all using Zach’s “Cash FROM Gold” technique. If you have $20,000 of capital to put to work… you can easily start using this technique in your own portfolio. Check out how it works at this link — but do it now, because this presentation comes offline tonight at midnight. The major U.S. stock indexes are starting the week in the green — the S&P 500 up the least, the Nasdaq up the most. Gold is retesting last week’s highs of $1,260. Crude is up another 1% at $50.89. The street chatter is about Ford removing CEO Mark Fields, after he did the dirty work last week of announcing 10,000 job cuts worldwide. His replacement is Jim Hackett, who up till now was running the company’s self-driving car unit. By one reliable measure, the U.S. economy is now its strongest since the end of 2014. The Chicago Fed National Activity Index crunches 85 economic indicators to get an overall picture. It has a history of presaging all but one recession going back to 1970. But it’s nowhere near recession territory right now, at plus 0.49. Even the index’s three-month average — a more reliable long-term indicator — is looking its strongest in over two years. Even rural America is starting to turn around after an ugly 20-month stretch. The Rural Mainstreet Index is the creation of Creighton University economist Ernie Goss. He surveys bank CEOs in rural areas of 10 states dependent on agriculture and energy, stretching from Illinois west to Wyoming. On a scale of 0–100, it’s been stuck below 50 — indicating a contracting rural economy — since August 2015. But the number for May finally broke back into positive territory, if barely, at 50.1. Rising prices for farm commodities made the difference. On the other hand, for some farmers those rising prices come too late: Goss says the number of bankers concerned about farm foreclosures as a risk to their operations has more than doubled from a year ago. Who says Donald Trump has upended decades of tradition and precedent? 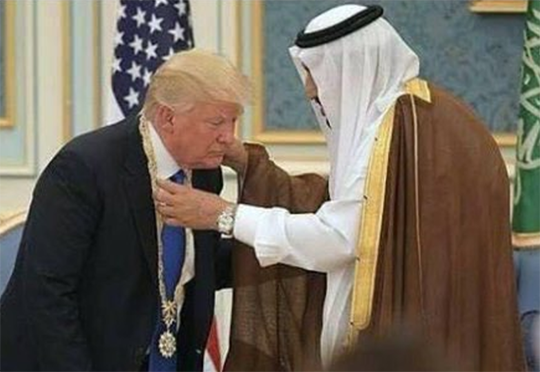 So much for the days of Trump the candidate denouncing the kingdom for “paying ISIS” and “controlling our U.S. politicians.” Makes us wonder: Is it the $350 billion in military spending over the next 10 years? Or is it the $25 billion in Treasury purchases over the last six months? Or both? Whatever it is, the Saudi Arabian regime has stepped up its public-relations and lobbying efforts in Washington, D.C., these last couple of years. In early 2016 we noted the kingdom spent nearly $7 million a year to that end. A few months later, we noted the kingdom spent that same amount in a six-month period on just one PR firm. A few days ago, the muckrakers at The Intercept found that the kingdom spent $18 million on influence peddling since 2015, judging by lobbyist disclosures on file at the Justice Department. While most media coverage of the president’s trip focused on the future arms purchases, we don’t want to overlook the past Treasury purchases. 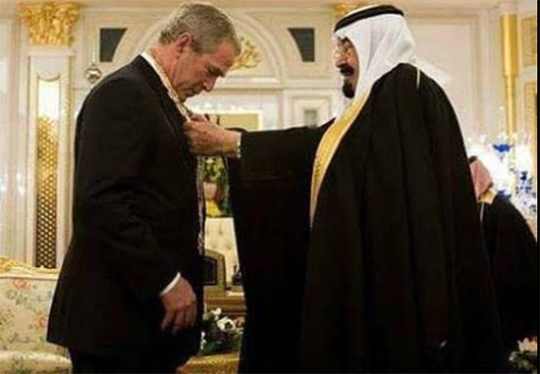 As we documented while it was happening, Saudi Arabia dialed back its purchases of U.S. Treasuries after oil prices started sliding down in mid-2014. An increasingly cash-strapped government had to make choices about how to deploy its limited resources: Financing a spendthrift Uncle Sam — part of the whole “petrodollar” arrangement going back to the mid-1970s — could no longer be part of the bargain. But as oil prices have slowly recovered, the kingdom has stepped up its Treasury purchases. Saudi Arabia’s holdings totaled $89.4 billion last September. By March of this year, the most recent figures available, the total had swelled to $114.4 billion. Meanwhile, the Saudi weapons deal is moving military stocks — bigly. The kingdom will buy $110 billion in U.S. weapons upfront, totaling $350 billion over the next decade. That’s the biggest arms sale in American history. Four of the “Big Five” defense stocks — Lockheed Martin, Raytheon, General Dynamics and Northrop Grumman — are touching all-time highs today. Never mind we don’t even know when the contracts will be signed, much less when the goods will be delivered. Buy! The payday for the arms makers will likely be even bigger when all’s said and done. The president is now in Israel, which often gets fresh military aid whenever an American president brokers a Saudi arms deal — the better to preserve Israel’s military advantage over its neighbors. It adds up to an average 60% payday in less than five months for readers of Rickards’ and Massengill’s Defense Technology Alert. Late last year Kevin Massengill urged charter subscribers to buy call options on those four defense names we just mentioned. Today it’s time to sell. Don’t worry if you missed out; as you’ll learn right here, we’re still at the dawn of a new boom in the sector. We sympathize with the plaintiff’s plight… but we’ll still file this one under Stupid Lawsuit Tricks. 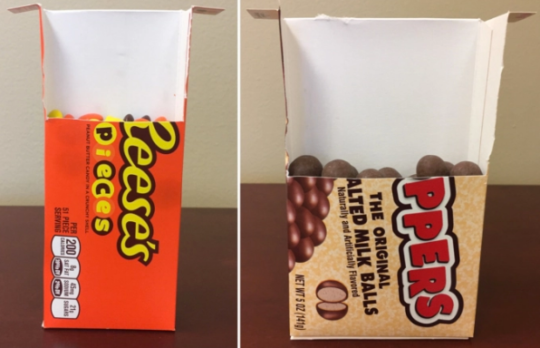 Robert Bratton of Columbia, Missouri, is understandably fed up with “hidden inflation” of the sort you find in the shrinking sizes of packaged food — or, in this case, the same size package with less food inside. So he bought several boxes of Hershey’s candy at a grocery store for $1 each. And then he sued — claiming the boxes of Reese’s Pieces are underfilled by 29% and boxes of Whoppers by 41%. Hershey’s for its part says consumers are “well aware” of the concept of “slack fill,” to say nothing of the fact that that the weight is clearly stated on the box. Last week a judge refused to throw the case out… but he also refused to grant Mr. Bratton class-action status. “Why should we invest in a rigged market?” an Argentine reader asks about gold. “I hold gold and silver for the long run, and every time they seem to be close to breaking resistance, someone sells huge amount of contracts in five minutes and slams them. The 5: As Jim Rickards is fond of saying, they can’t keep it rigged forever. Recall that for every ounce of physical gold out there, there are at least 100 “paper ounces.” At some time in the future, someone holding those paper ounces will “stand for delivery” on the Comex — demanding his contract be fulfilled with metal instead of cash — and the Comex won’t have the metal to deliver. So when could someone stand for delivery and get away with it? When some sort of market shock is already underway. As we said last year, it could be the bankruptcy of a medium-sized gold dealer. It could be lawmakers in Washington talking about new reporting requirements for gold dealers. Or it could have nothing to do with gold: It could be a war or a pandemic that frightens people into safeguarding wealth. “The emails complaining about ad copy in tone and length have been interesting,” a reader writes. “Here’s a novel idea: Why not put a ‘click to vote’ section in The 5 that asks readers to tell you whether they want short or long copy, hysterical clickbait headlines or reasonable headlines? My guess is that you would get an overwhelming response to shorten and tone down the ad copy. If The 5 responded by shortening the copy and moderating the tone, the response just might be more readers doing ‘word of mouth’ advertising that would far outweigh any supposed losses from shortened, reasonable copy. “Indeed, as anyone completing an MBA has learned (and business owners who have to pony up for advertising know instinctively), the primary benefit from advertising is simply increased name recognition. Any increase in sales that tracks with increased length or hyped-up tone of ads is strictly coincidental. Or, in other words, ads keep your name in potential customers’ minds, but do precious little else. That so many of your readers have taken the time and trouble of responding to the ongoing discussion about ads should be a red flag to Agora management. The 5: If it were really a “red flag,” we’d have heeded it long ago. But we also heard from a reader who was reading Agora publications when they were still available only on the printed page through the U.S. Postal Service. He too was complaining, but he’s still with us. Go figure. Of course people will say they want to see sales copy that’s short and doesn’t try to tell a story and doesn’t make big promises. But then we do “split-tests” of long versus short copy and the “verbose, time-wasting, hype-filled” stuff they decry wins hands-down, nearly every time. P.S. Last chance: If you want to learn how to extract cash from gold, our video expose comes offline at midnight tonight. Watch here.